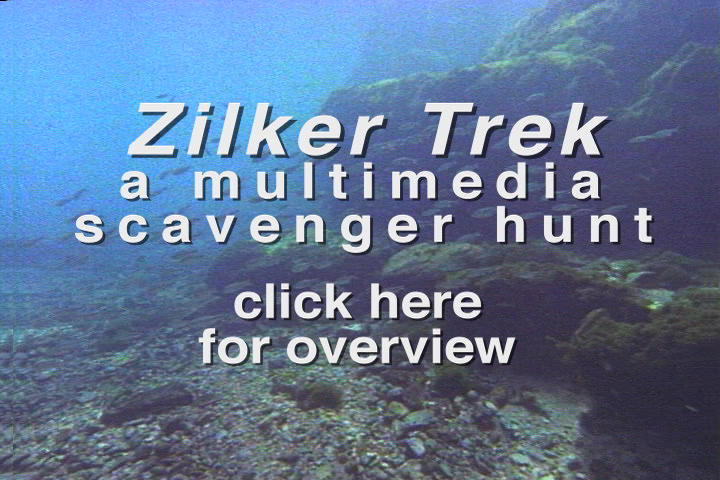 Put your video i-Pod to work with Zilker Trek, a self-guided, multimedia tour of Zilker Park. Using free content, that you can download right here, trek the park and create your own nature journal and a natural sculpture. Take a few intense days or a come back again and again. It’s fun, creative, and you might even learn something along the way. Click below to get started. View the three introductory videos and review the map. Get started on your journey of discovery, science, art and inspiration. Note: The introductory videos can be completed anywhere in Zilker Park or at any place of your choosing. Search for wildlife at Barton Springs and record your findings in your field journal. For the full experience use a mask, fins and a snorkel to view underwater wildlife. A help sheet is provided to aid in your identification of fish and water birds. Use the help sheets to identify butterflies and caterpillars located on host plants in the Butterfly Garden in the Zilker Botanical Garden. Record your findings in your field journal. Scan the rock outcropping at the north end of Barton Springs pool for fossil impressions. Use the modeling clay in your kit and make impression of a fossil. Identify your fossil using the help sheet. Record your findings in your field journal. Tour the Green Garden at the Zilker Botanical Garden. Note how the different garden beds are based on the growing conditions. Then design a garden of your own in your journal. Hunt around the rose garden in the Zilker Botanical garden. Search for built objects that once existed elsewhere in the City and learn a little about their history. Record your findings in your field journal. Walk carefully through the koi pond at the bottom of the Taniguchi garden in the Zilker Botanical Garden. Observe the flowers and koi from as many different angles as possible. Once you find something inspiring, create a realistic or impressionistic drawing in your field journal. Start at the top pond at the Taniguchi Garden in the Zilker Botanical Garden. Following the path of the water, wind your way down to the waterfall. Make a note of any visuals, feelings or impressions in your journal. Once you arrive at the waterfall, compose a haiku based on your experience. Starting at the Barton Springs Road entrance to the Zilker Preserve, hike along the paths. Use your ears, eyes, audio recordings and help sheets and see how many bird species you can identify. Create an original sculpture using natural materials based on all of your experiences at Zilker Park. Note: This activity can be completed in Zilker Park or at any place of your choosing. See what others have created! Share what YOU’VE created! Once you’ve registered on this site you can upload scans of your journal, images of your sculptures, copies of your haikus, and more!